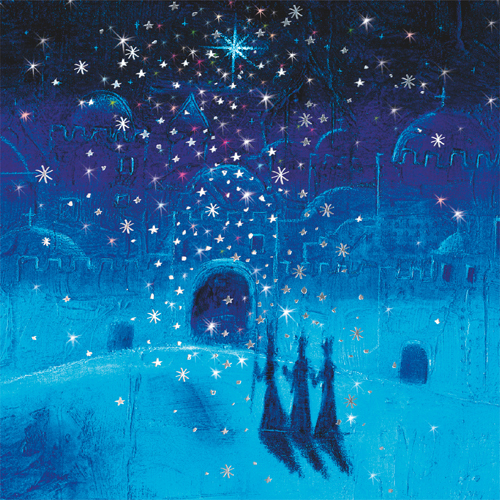 This sensational card depicts the Three Wise Men following the star to Bethlehem. An abundance of delicate silver foiled stars add sparkle to this beautiful Christmas card. By purchasing the Journey to Bethlehem Christmas card 10p for each card you purchase will be Donated to the Charity of your choice from the Charities listed below.